“An international team of scientists from Russia, Sweden and the USA suggested replacing gold and silver, which are used in optoelectronic devices, with an inexpensive material of titanium nitride. The results of the study are published in the journal Applied Physics Letters. Titanium nitride has excellent anti-corrosion and thermal stability properties, it is non-toxic and synthesized easily and cheaply, and this is extremely important for its practical application - unlike commonly used gold and silver», — says one of the scientists, Ilya Rasskazov from the University of Illinois at Urbana-Champaign. In order to make optoelectronic devices faster and more accurate, for example, lasers and biosensors for medicine, plasmon resonance is used, in which an electromagnetic wave generated by the action of light spreads all over metal surface. Plasma resonance can be obtained on noble metals, but they do not allow this effect to be obtained in the telecommunications wavelength range, which is used in most of the digital technology. «The vast majority of digital technology functions in the telecommunications frequency range, but gold and silver, widely used in the field of plasmonics, don’t provide such an effect», — said Sergei Polyutov, head of the research at SFU. Siberian scientists proposed to use titanium nitride instead of gold and silver. Titanium nitride is a substance that is used for gilding church domes, for instance. 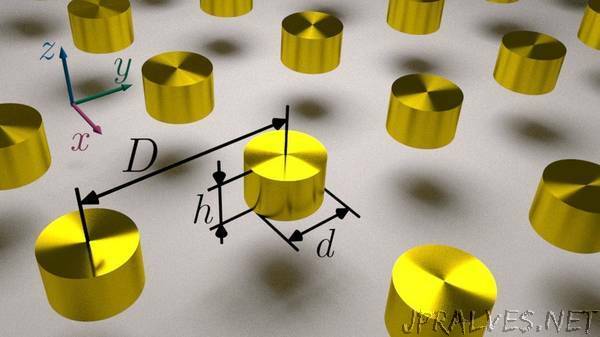 Studies of this material have shown that it produces a plasmon resonance with a Q-factor several thousand times greater than gold. This means that it preserves energy better and the wave oscillations do not fade in it longer.